Providing BKSA Kitesurfing lessons and courses at Gwithian and Marazion, watersports coaching and Adventures in and around the waters of Cornwall! Using the best gear and always at the best spot you can be sure you are receiving the best instruction, coaching and advice from a team of dedicated watermen and women. I have been coaching watersports since 1996, working and managing centres all around the world. · RYA Senior Dinghy Instructor, Advanced, Multihull, Race endorsed. · RYA Senior Windsurf Instructor, Planing & advanced techniques. 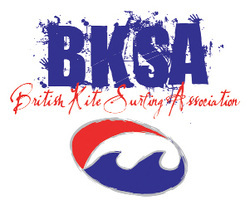 · BKSA Senior Kitesurf Instructor, UK Race & Wave coach. · BSA Level 1 surf coach. I also hold all relevant First Aid, Lifeguard, Powerboat, VHF and Child Protection Certificates. Contact me through the website www.pastyadventures.co.uk or email info@pastyadventures.co.uk wit your enquirie.